Winnebago Towable is recalling 50 model year 2016 Instinct trailers manufactured January 12, 2016, to February 29, 2016. The trailers may have an inadvertent "I" stamped as the fifth character in the VIN number. While there is no direct safety risk, an accurate VIN is required to verify trailer applicability for any future safety recalls. Winnebago will notify owners, and dealers will install a new VIN plate over the incorrect VIN plate, free of charge. The manufacturer has not yet provided a notification schedule. 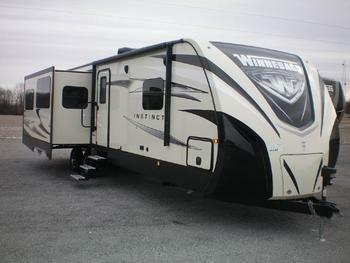 Owners may contact Winnebago customer service at 1-574-825-5250.